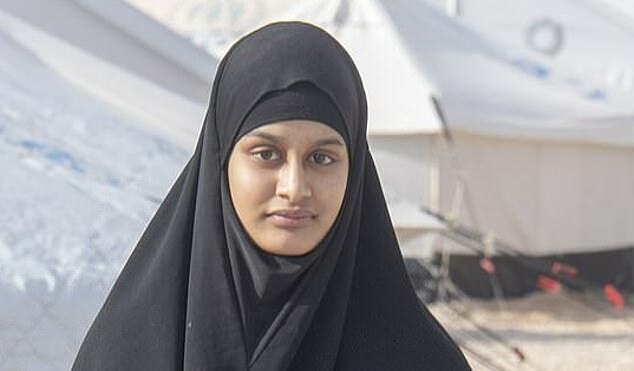 A row erupted last night after the Mail revealed Shamima Begum will get legal aid to help fund her fight to return to Britain. The families of IRA victims, who had to battle for years to get taxpayer help with their legal bills, said it was an ‘outrage’ that the jihadi bride was in line for public funding. 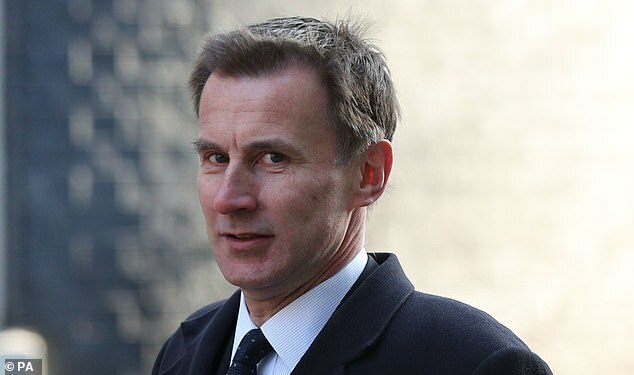 Foreign Secretary Jeremy Hunt admitted he was ‘very uncomfortable’ with the idea of Begum receiving public funds to fight Sajid Javid’s decision to remove her British citizenship. 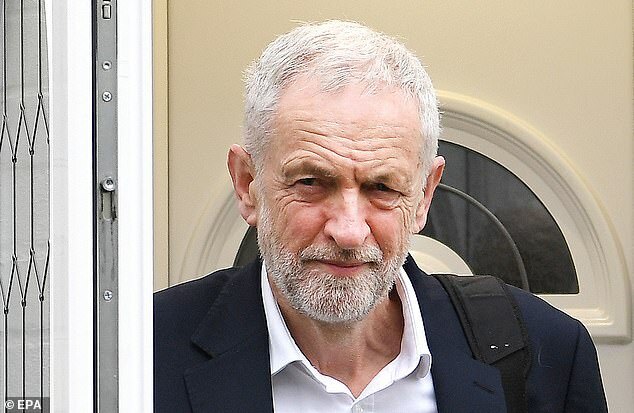 However, ministers insisted the decision was a matter for the Independent Legal Aid Agency (LAA) and they could not intervene – while Jeremy Corbyn defended Begum’s right to get funding. It is thought the Government is facing a string of other legal challenges to citizenship deprivation orders, which could ultimately land the taxpayer with a substantial bill if all are granted legal aid. Dozens of other people have been stripped of their British citizenship in the past few years. The Mail broke the news yesterday that Begum, who was just 15 when she left her family in east London to join Islamic State, was in line for legal aid. Whitehall sources last night said that while the paperwork had yet to be formally signed off, there was ‘no doubt’ Begum’s request would be granted by the LAA because she had no means to pay for the legal action. The 19-year-old is said to be destitute and living in a refugee camp in Syria, having lost three of her children she had with her Dutch jihadi husband. Yesterday her brother-in-law said he understood taxpayers’ fury that their money would be used to pay for her legal challenge. Dal Babu, a former Met Police chief superintendent and a friend of the Begum family, said legal aid was necessary to ensure the correct process was followed. Judith Jenkins, the widow of Hyde Park bombing victim Jeffrey Young, said it was an ‘outrage’ that the former London schoolgirl would get her legal costs funded. The families of the four soldiers killed in the 1982 atrocity were denied legal aid to sue IRA terrorist John Downey, whose trial for the murders collapsed due to blunders by police and civil servants. Relatives seeking a civil action against Downey had their requests for legal aid rejected five times before the LAA decided to grant the cash. Mark Tipper, whose brother Trooper Simon Tipper, 19, was killed as he rode through Hyde Park, said: ‘If this woman is entitled to legal aid, it stinks. Julie Hambleton, spokesman for the families of the victims of the Birmingham pub bombings, said they also had to battle for legal aid and had received only a fraction of the funding they hoped for. But Mr Corbyn said Mr Javid’s decision in February to remove her citizenship was ‘very questionable’, adding: ‘She is a British national and, therefore, she has that right, like any of us do, to apply for legal aid if she has a problem. Mr Hunt told the BBC: ‘It makes me very uncomfortable because she made a series of choices and she knew the choices she was making, so I think we made decisions about her future based on those choices. The landmark case due to be held by the Special Immigration Appeals Commission could pave the way for other jihadis barred from returning to Britain to apply for legal aid. 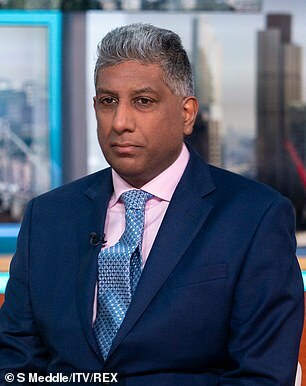 Immigration lawyer Fahad Ansari, who has successfully defended two Islamists whose UK passports were revoked, confirmed he was representing three clients who are challenging deprivation of citizenship orders. Mr Javid said he was aware of other individuals who had received legal aid after being stripped of their citizenship for security reasons. The LAA said: ‘We are unable to comment on individual cases.’ The Begum family, who live in Bethnal Green, east London, were not available for comment.